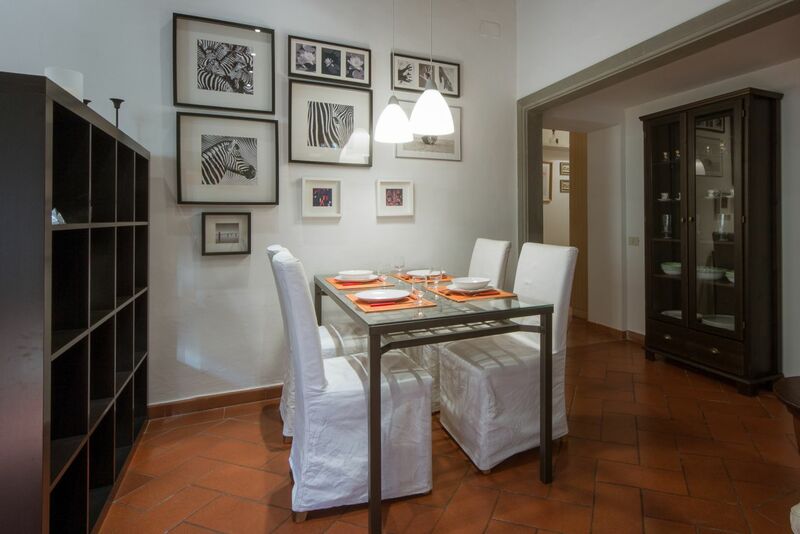 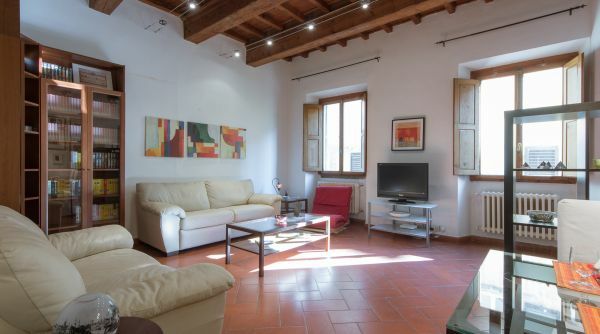 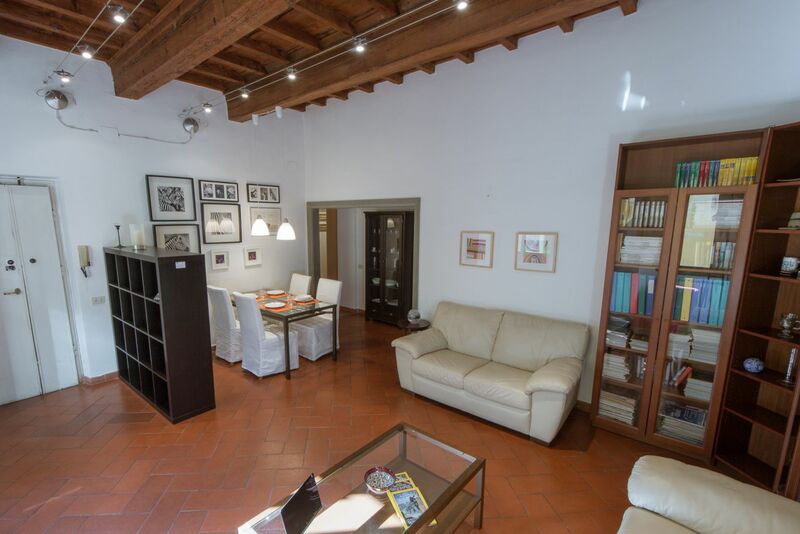 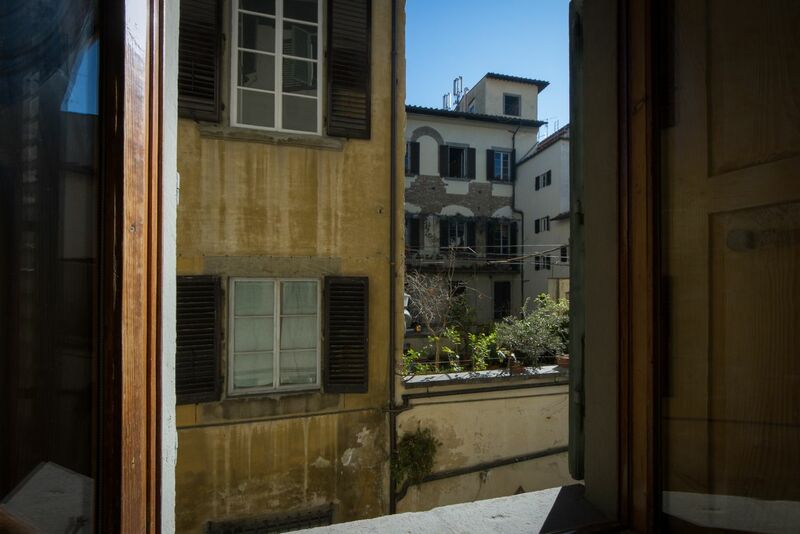 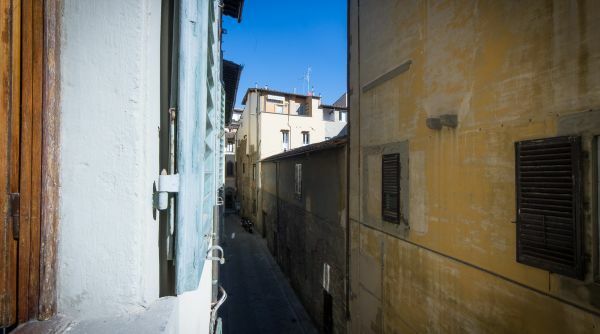 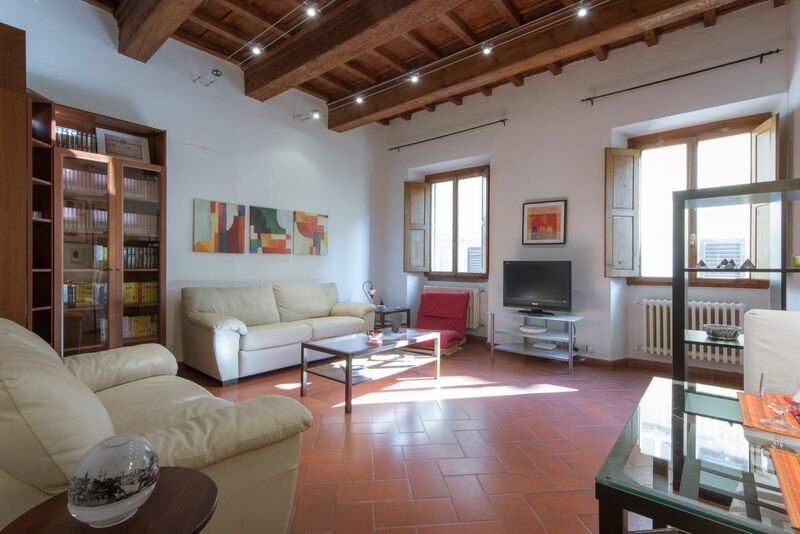 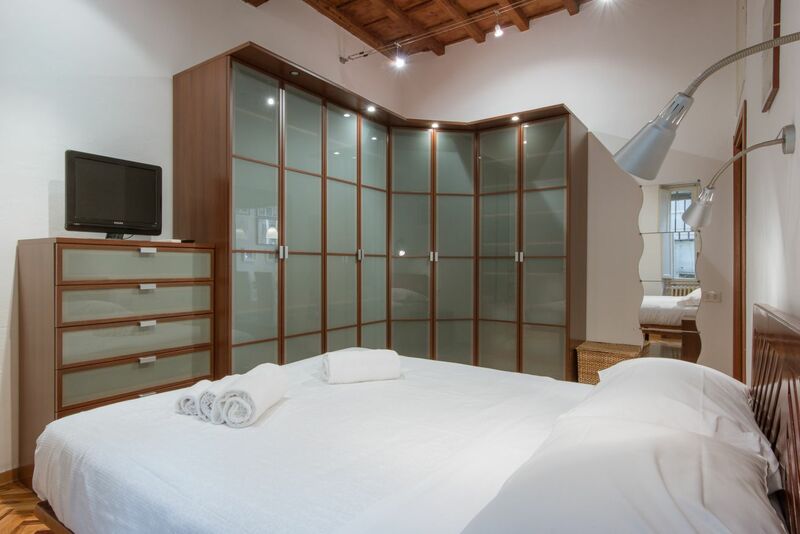 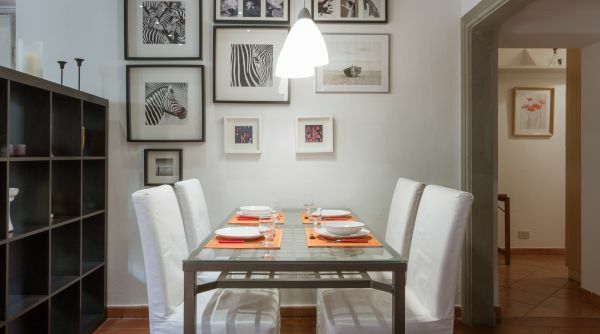 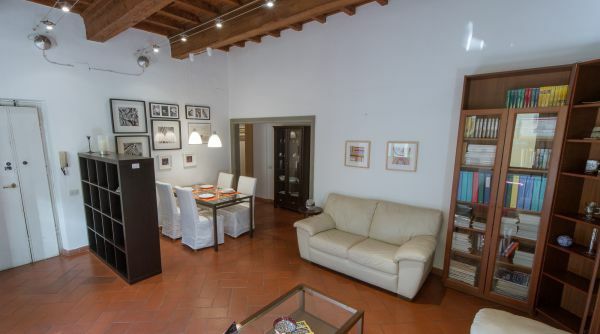 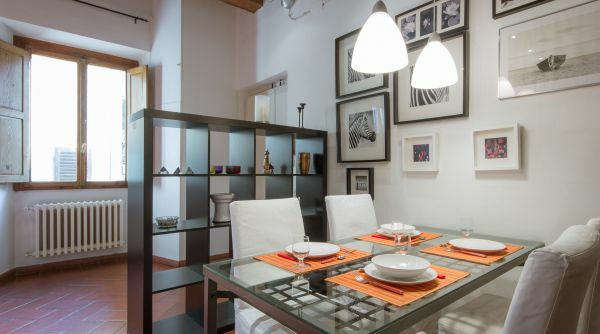 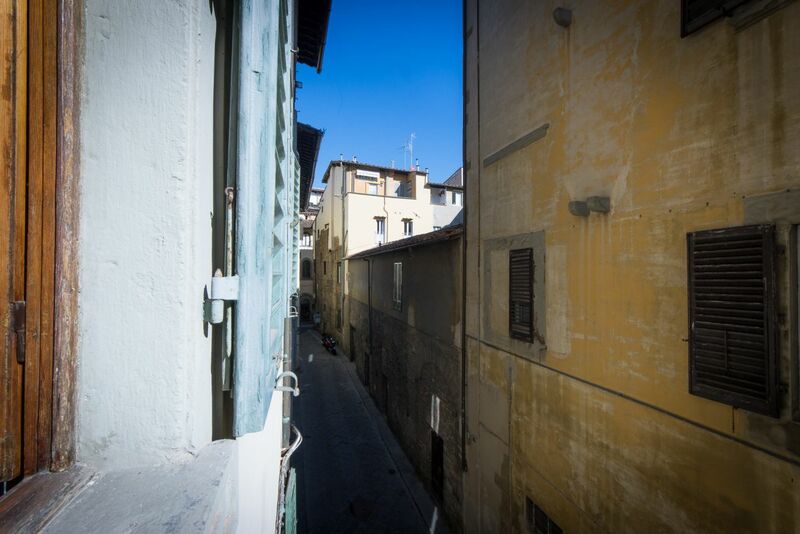 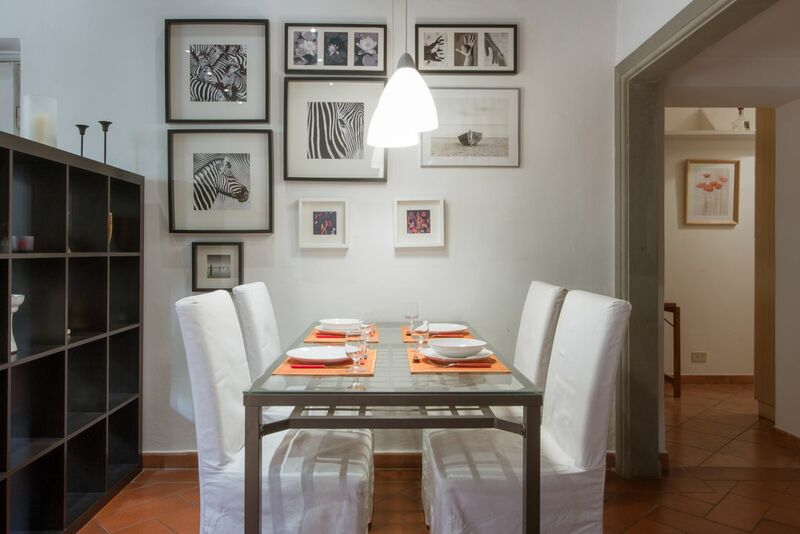 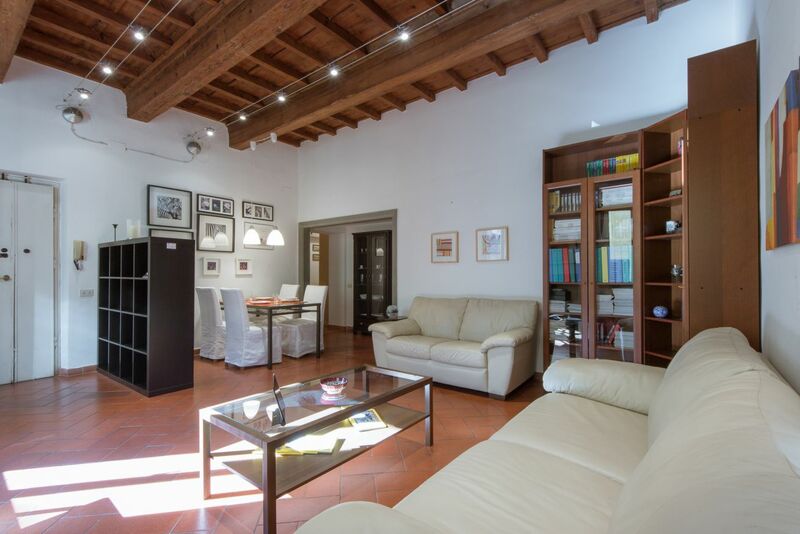 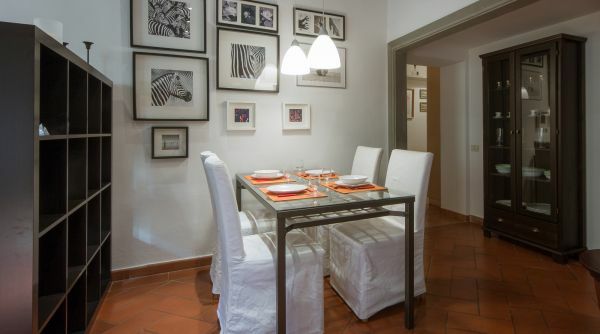 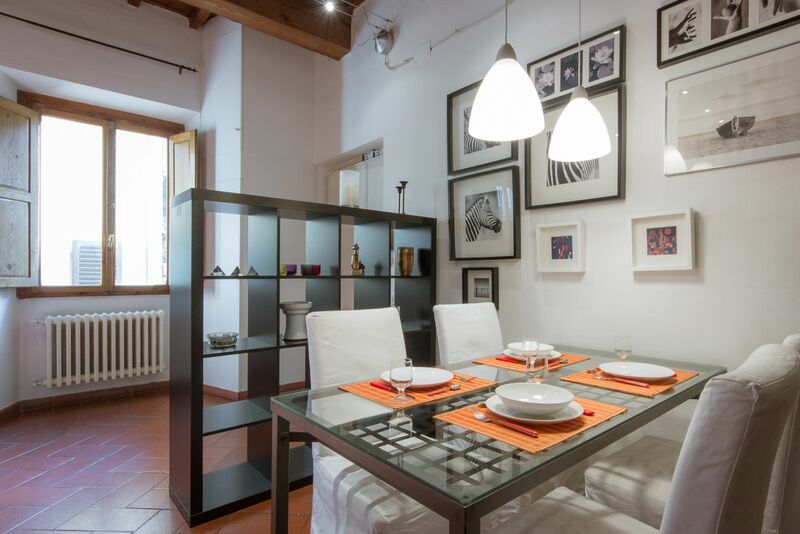 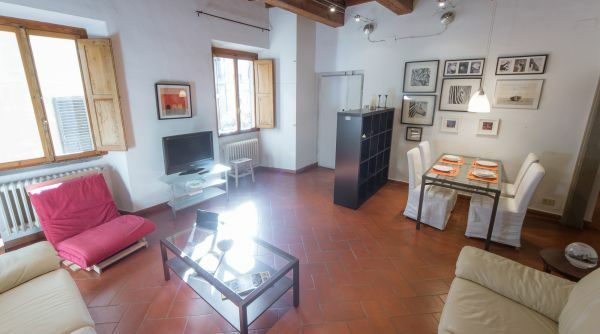 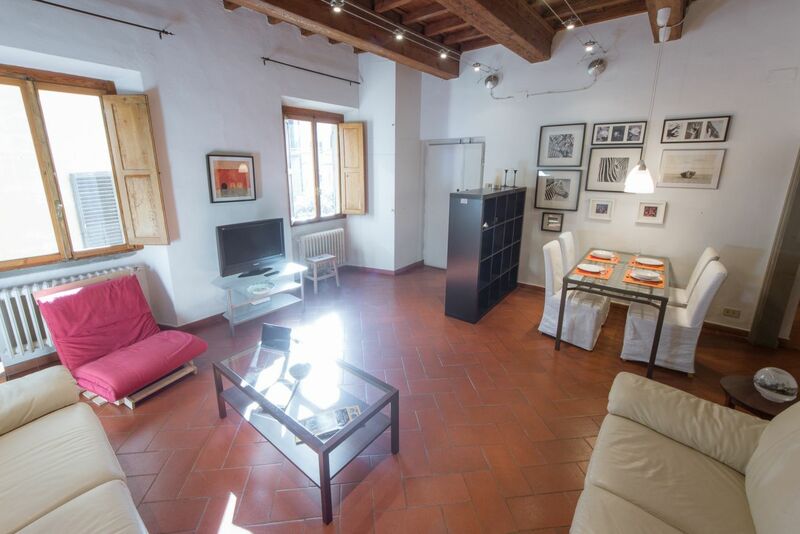 This apartment is located in a wonderful central location right in the heart of the Santa Croce neighborhood in Florence. 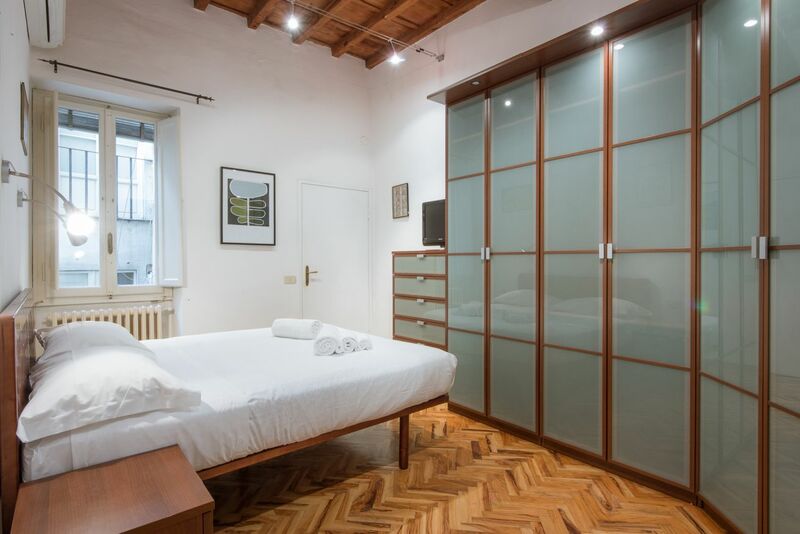 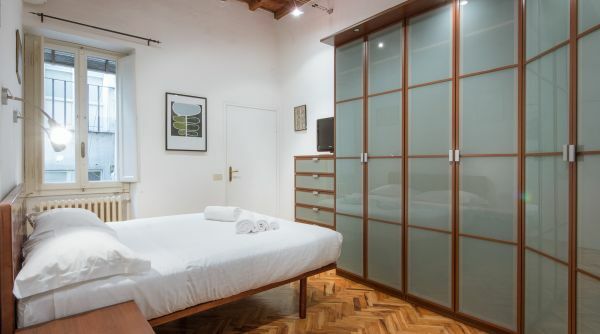 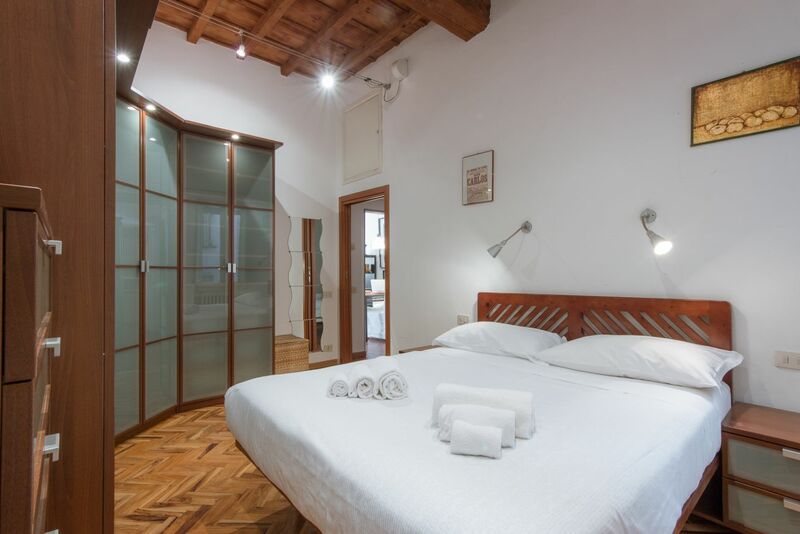 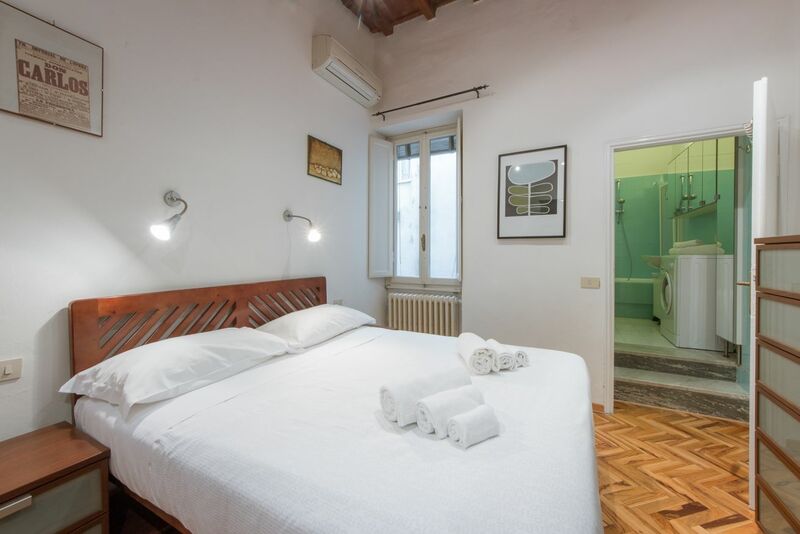 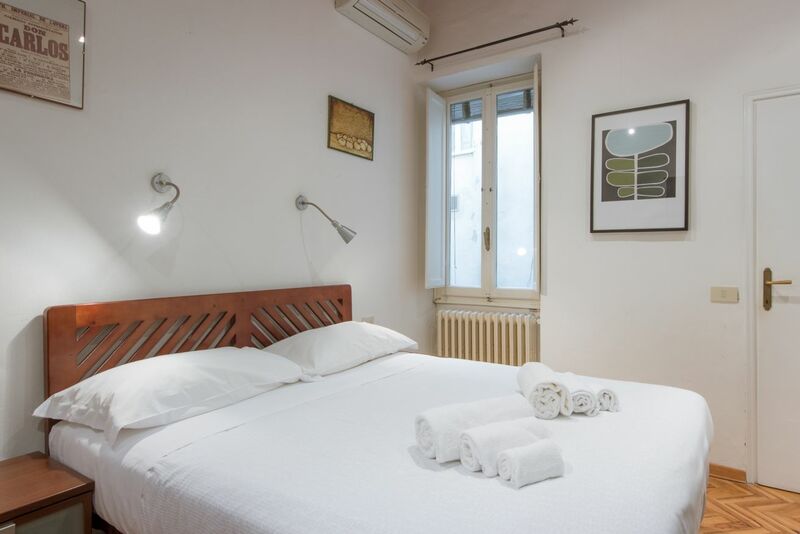 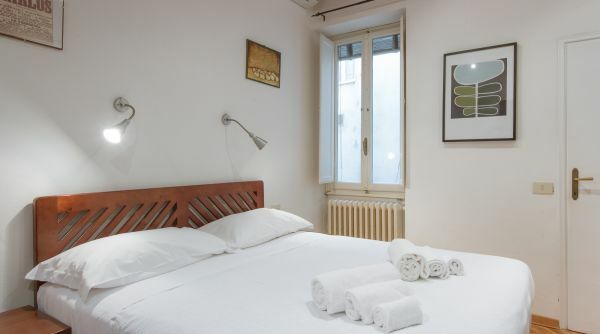 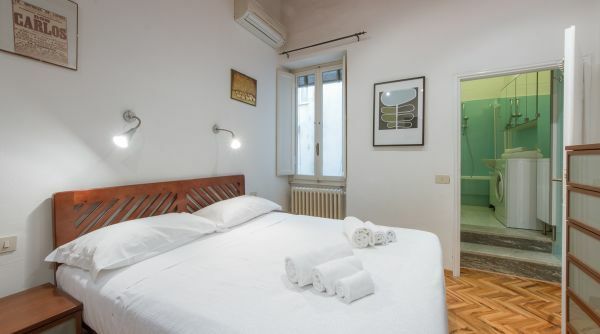 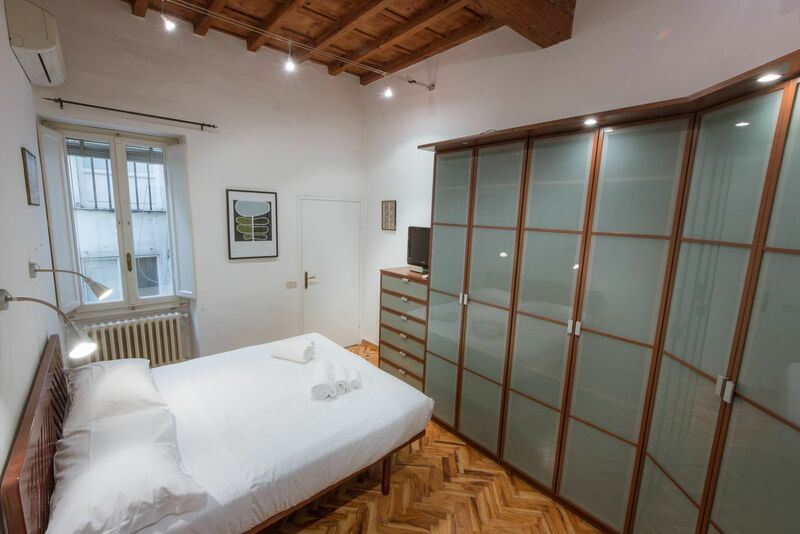 Here you find yourself just minutes away from the Duomo, Palazzo Vecchio and the Uffizi, the Basilica di Santa Croce and all other famous tourist spots. 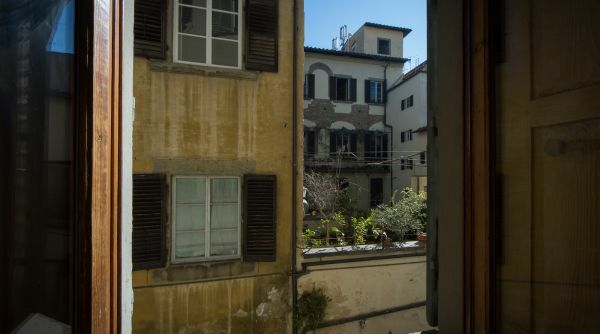 You’re close to the river and the Ponte Vecchio as well, so you can easily explore the whole city by foot. 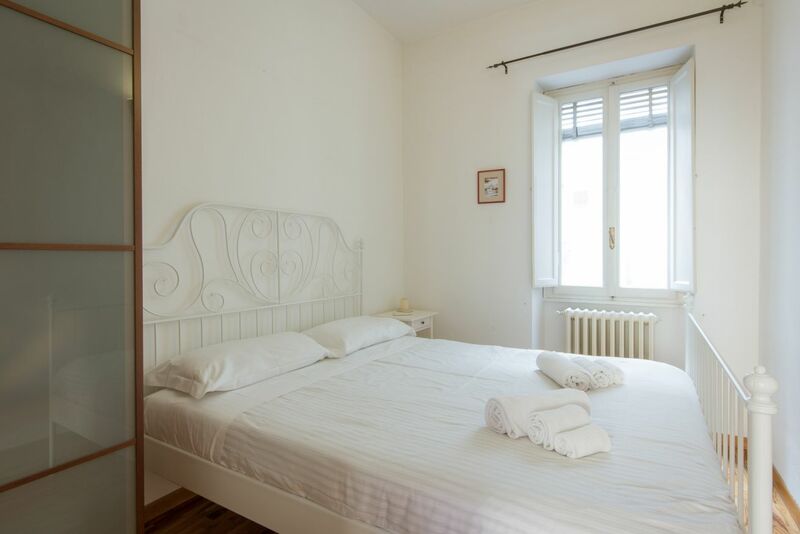 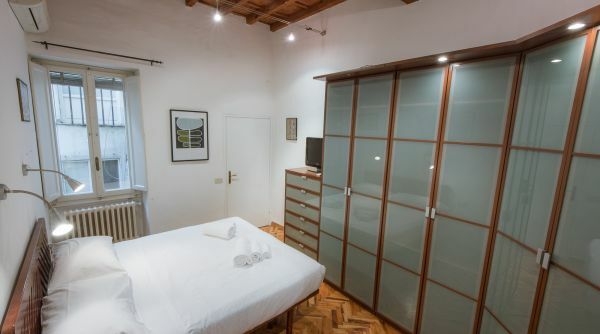 Despite its prime location, it is on a small tucked away from the tourist traffic street so the apartment is very quiet! 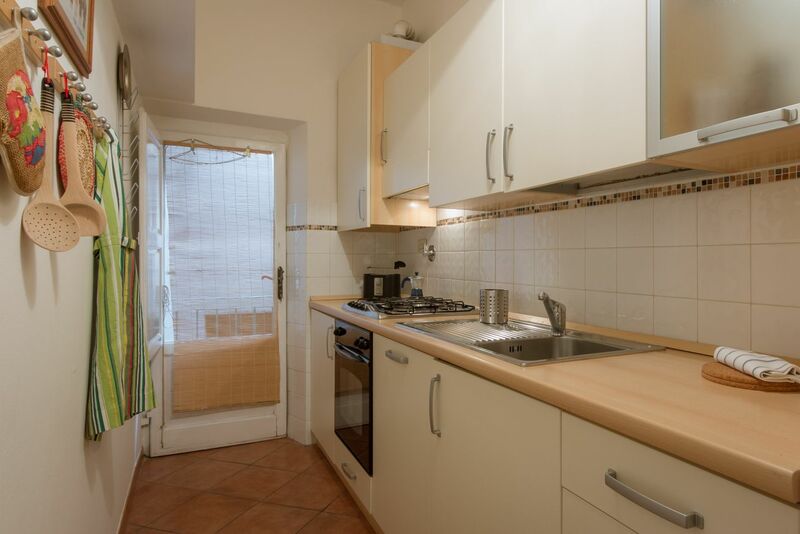 It is on a 2 EU | 3 US floor with no elevator, but very manageable stairs. 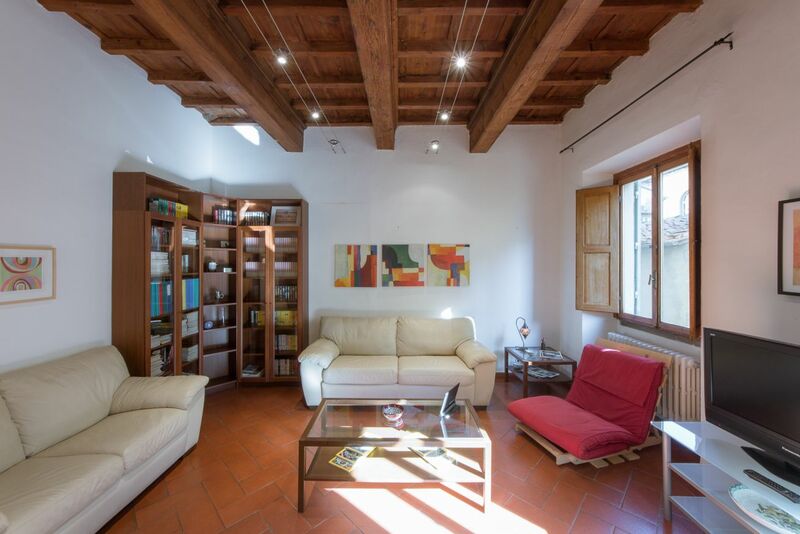 As you enter the apartment, you find yourself in the bright and spacious living room which has a dining room table for 4 people, couches and a coffee table, a TV and a large library section. 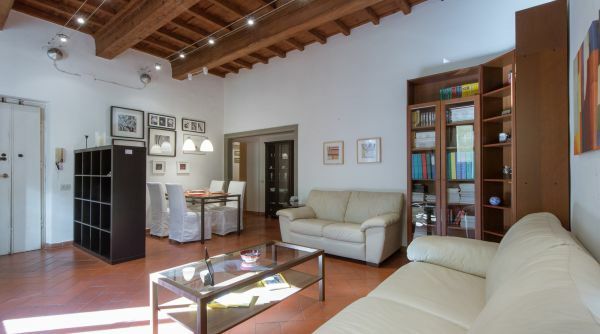 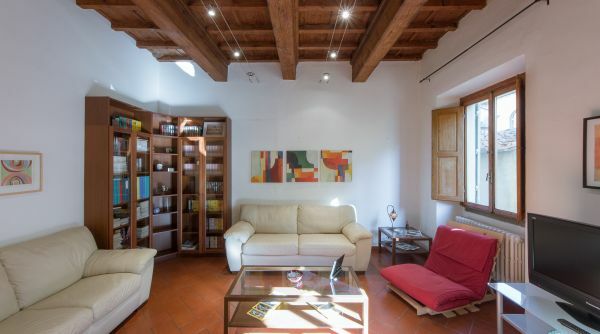 The original wooden beams give the space a characteristic Tuscan look. 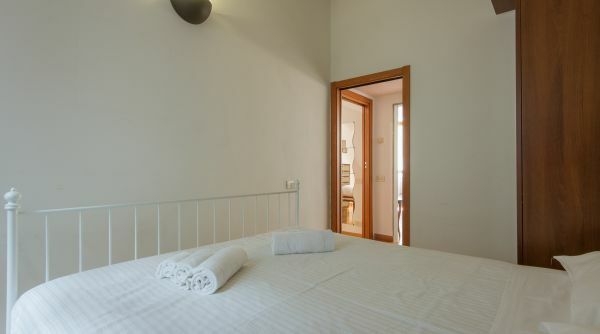 The two bedrooms of the apartment are relatively equal in size and both have double beds. 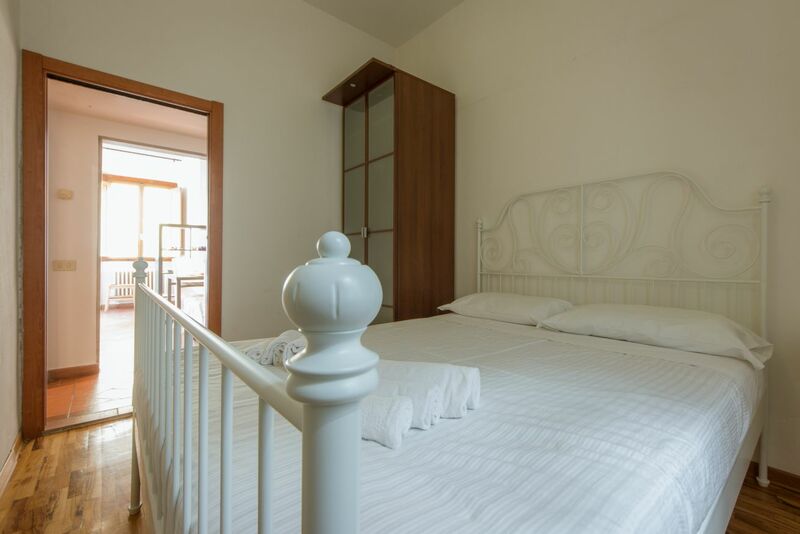 The slightly bigger bedroom is on the right of the living room and has a large closet and lots of storage space. 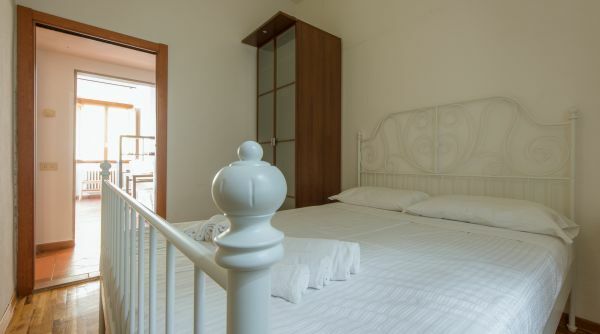 The other bedroom is also spacious and bright and has a smaller dresser. 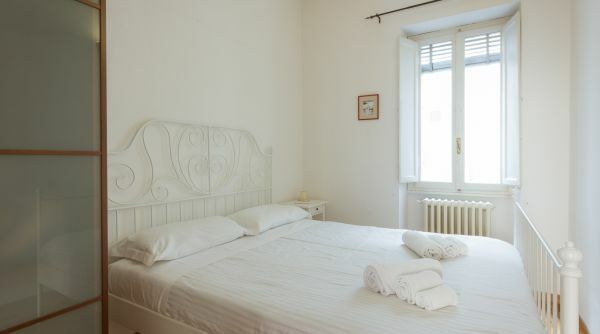 There is AC in both bedrooms. 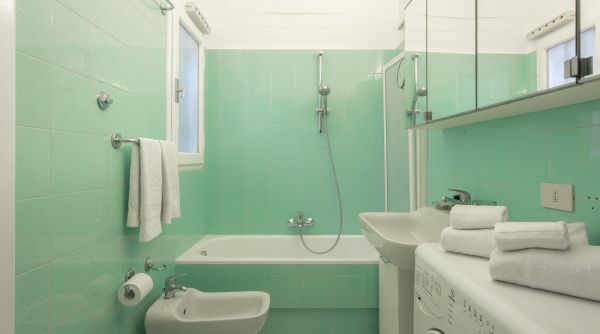 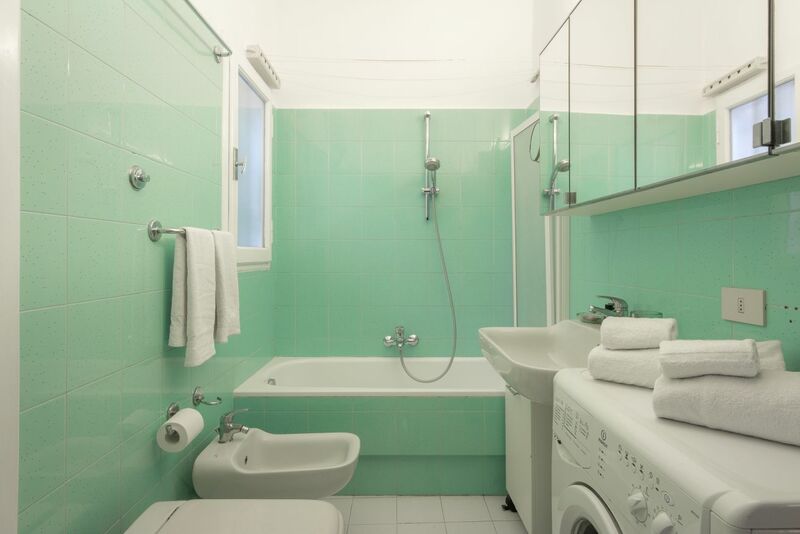 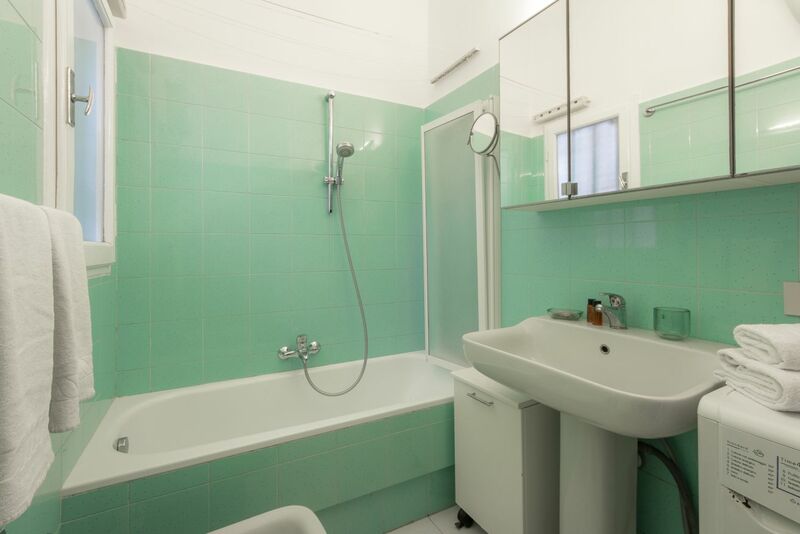 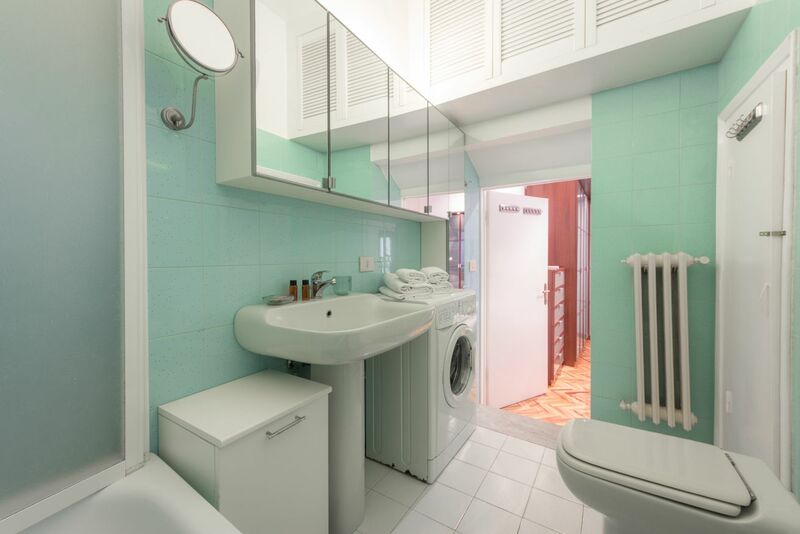 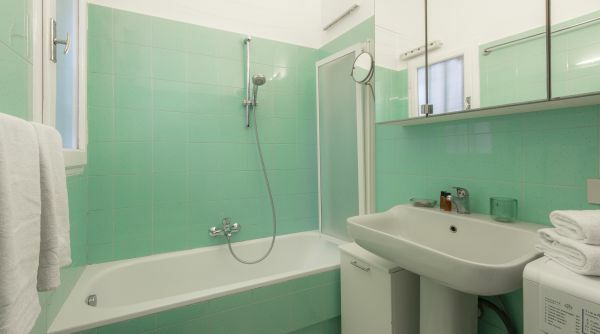 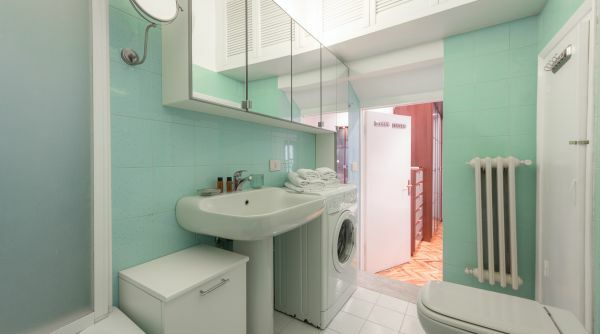 The bathroom is an en suite to the first bedroom and it has a bathtub and a shower, as well as a washing machine. 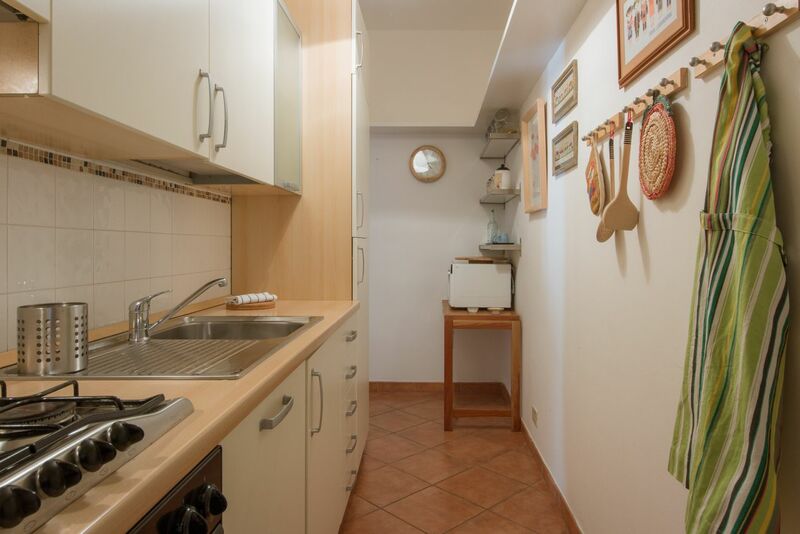 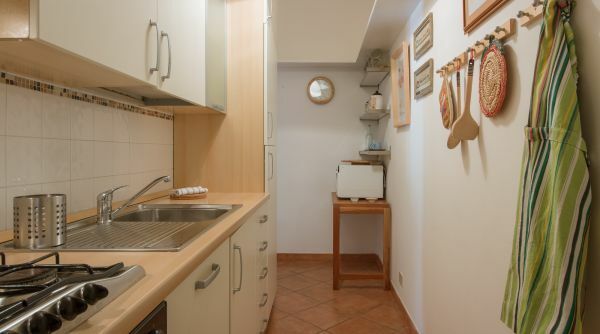 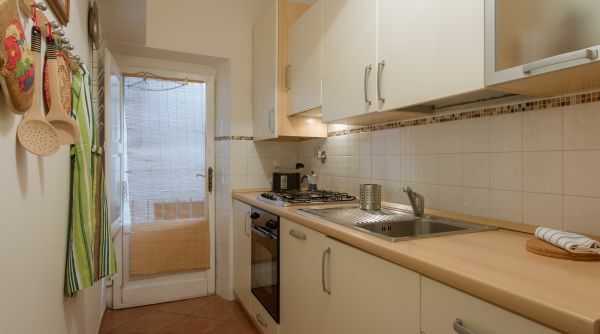 The homely kitchen is fully equipped including an oven, microwave and a dishwasher. 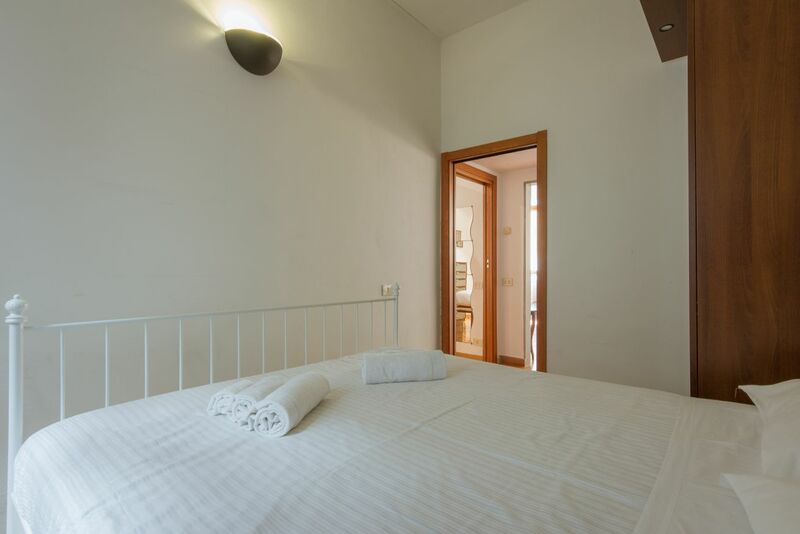 It is cozy, comfortable and fully functional – you can really feel at home here!